Girl get your power back! Do you wanna be healed? 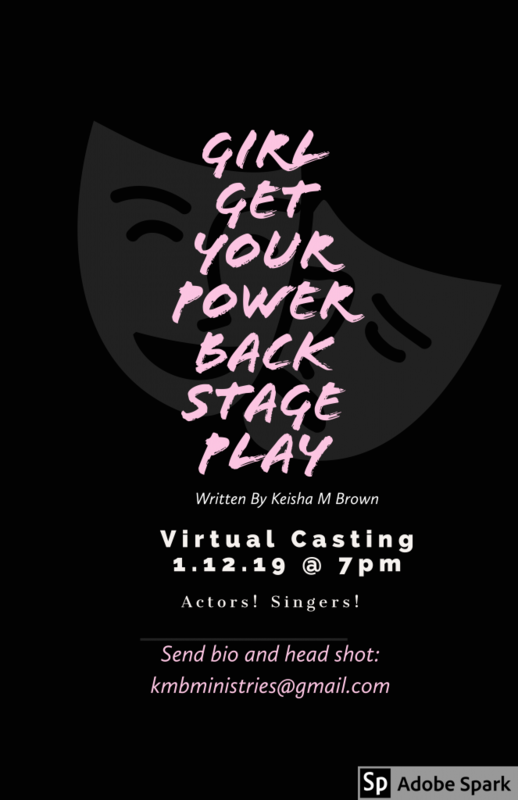 If you’re interested in auditioning for Girl, get your power back! Do you wanna be healed stage play. Devonte- Early 60’s African American Male, Tasha’s boyfriend who is very abusive verbally and physically.